Where are we and what’s next? Remind me? What month was that? February or April? The month started off great! 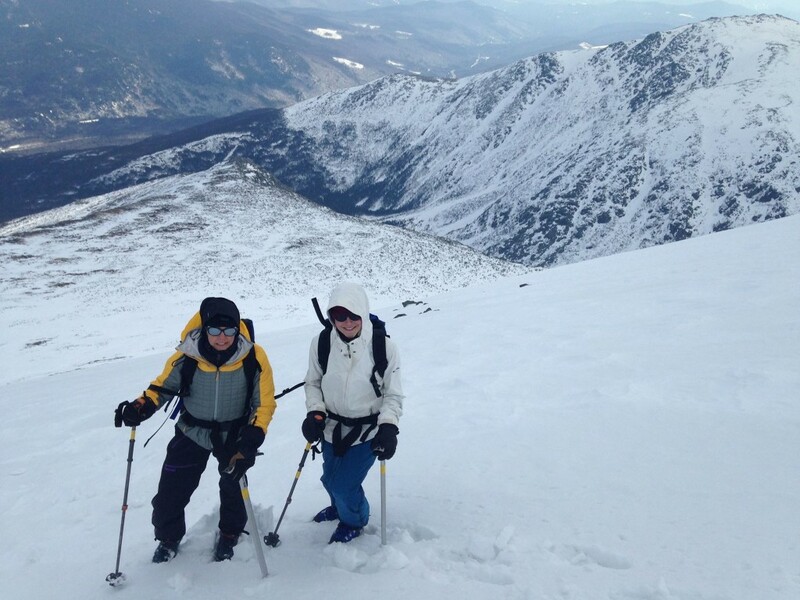 Plenty of snow and ice to climb. But, right after some epic snowfalls and great skiing, things went south. It started to feel more like April than February. A day or two of warmth is normal, but a week and a half of record warmth and rain took its toll. 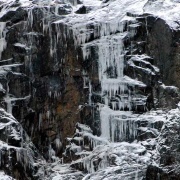 Spring came early and devastated the ice climbing in many areas. 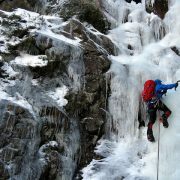 Winter temperatures are returning this weekend but it may be too late for most climbs to recover. Keep an eye open for the rare visitors. “Omega” on Cannon cliff has been found in great shape even in April. It’s time to follow the weather, look in the shaded gullies and up high. Be ready! This is the Northeast, and we are not done yet! 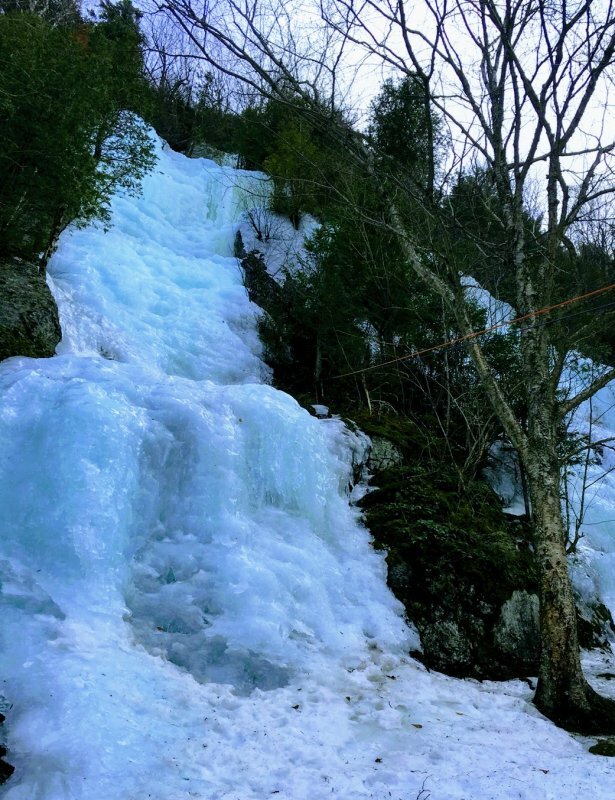 Ian Osteyee, owner of Adirondack Mountain Guides says, “Everything is so fat; it’s all still there.” The back side of Chapel Pond and the North Face of Pitchoff are both areas that still have ice to climb. 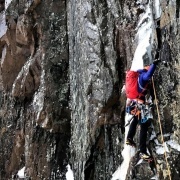 Routes like “Chouinard’s Gully”, “Crystal Ice Tower”, and “Tendonitis” are still in. Osteyee did caution climbers about crossing Chapel Pond though, after this warm spell, saying, “areas next to the shoreline may be open or have thin ice where you could break through.” So, even if temps drop to zero, people should check ice thickness before just walking across to climbs on the other side of the pond. 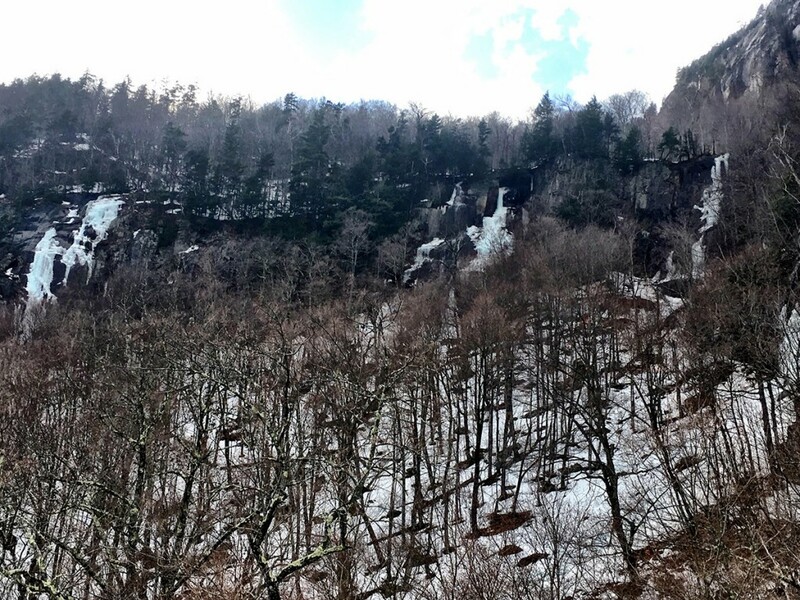 “This was unlike any other Feb thaws in that it was a full re-set in most areas,” said Doucette, owner of MountainSense Guides in New Hampshire, who described the damage done due to the prolonged warm spell. ““Dracula” and “Standard,” some of the last to go, were not what I would call a safe bet these last few days.” But, he added, “Now it’s cooling off again, I’d go for supported features at elevation on cooler aspects – north and east-facing.” Now that it’s March, the sun will have increasing effect and that‘s something climbers need to keep in mind, emphasized Doucette. 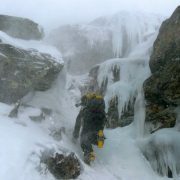 Conditions were rough last weekend in Smuggler’s Notch. The rain and 50 degree temperatures this week has that area basically starting over, and it will mostly be dependent on whatever forms in the coming cold snap. Lake Willoughby flows are hurting, to say the least. Parts of “Mindbender,” WI5+, lay in the ditch by the road Sunday morning. But, surprisingly by early Tuesday morning, things were starting to look exciting as a couple lines that rarely form, like “Five Musketeers” and “Aurora,” had come in overnight with the cooler temps and lots of water flow. Unfortunately, they fell down just as quickly as the strong morning sun came over Mount Pisgah, and baked the dark rock. By that afternoon, the thermometer was at 42F, and I listened to ice and rockfall echoing loudly as I safely skied the woods on Mt. Hor across the valley. 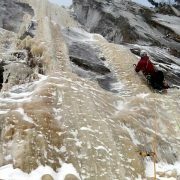 It may well be worth the drive up if you have time, and are still in the ice-climbing mode. 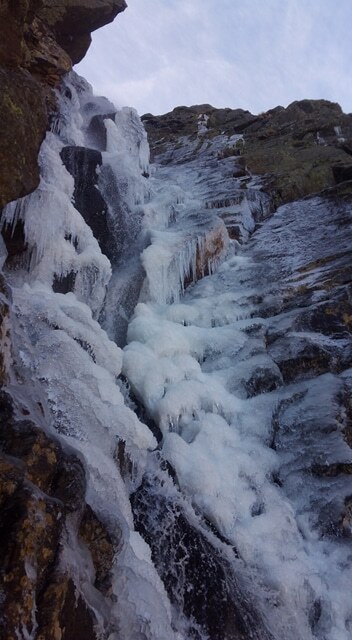 There is still plenty of ice up there to climb. 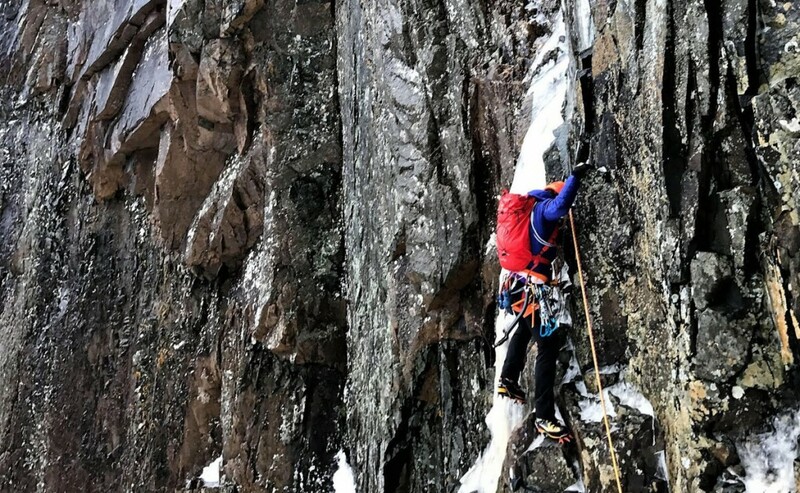 Check out “Climbing a Dream in Newfoundland,” Joe Terravecchia, Will Mayo and Anna Pfaffs’ new mega-ice route. Also, check out “The Unseen Sun” by Nick Bullock, where he and the b’ys find adventure, friendship, and hospitality in Newfoundland. 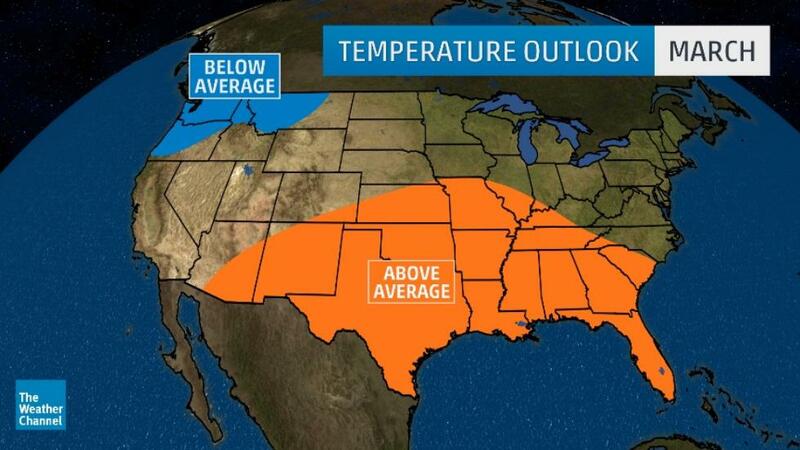 Cold weather is headed our way. So cold, it’s going to hurt after these 50 degree days. It may bring in some rare visitors if you can brave the chill. Running water is everywhere, but it may be too late for a lot of climbs. The sun is high and warm this time of year. When all else fails, get ready for rock climbing. Jon Sykes new guide book is out. Pick up a copy and get ready for some rock climbing adventures. It's about Time, Where have you Been?